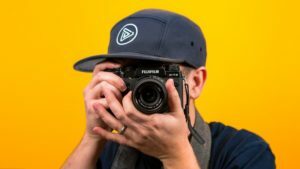 Here is a complete guide to portrait photography with over 100 posing ideas for couples, men, women, children, and groups. For more tips and tricks for improving your portrait photography, check out this article on 6 Steps to Better Portrait Photos. You can also take our Portrait Photography for Beginners course. Or, you can get access to 75+ courses by joining our monthly membership: click here to get your first month free! Our goal with this article and downloadable guide is to give you ideas for your very first portrait photography session or your next one. Below you’ll find infographics with all of the posing ideas. You’ll also find individual illustrations and suggestions for each type of photo shoot. You can download the PDF with 100+ illustrations to see all of them, or click through the links below to see all 25 illustrations for each situation. 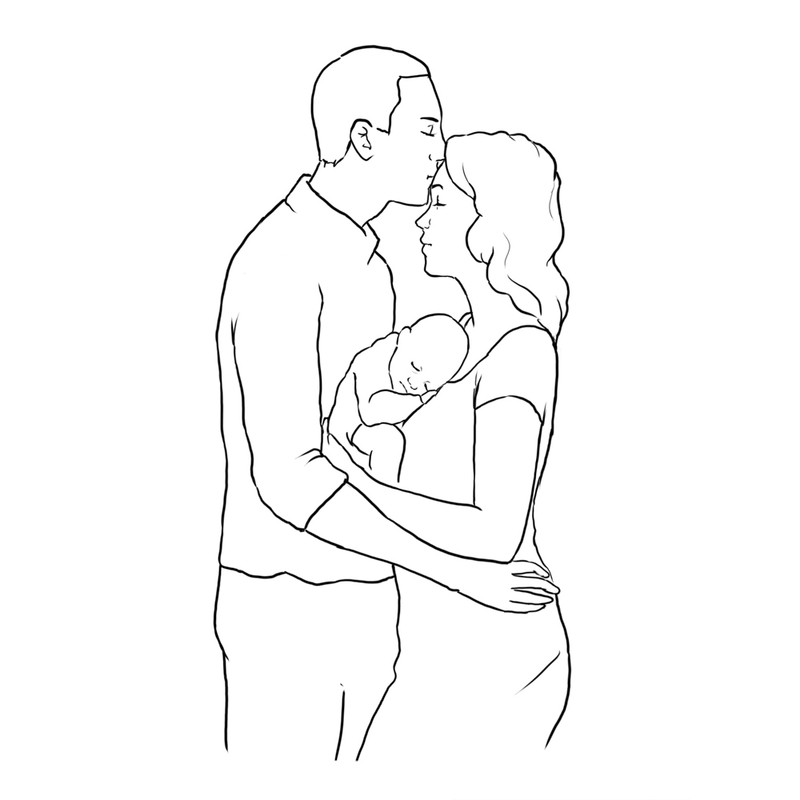 Get a downloadable PDF with over 100 ideas for couples, men, women, kids, and group poses. Save this posing guide to your phone or print it out so you can bring it on your next photo shoot! Cool! Check your inbox (and spam folder) because we're sending you the guide right now. 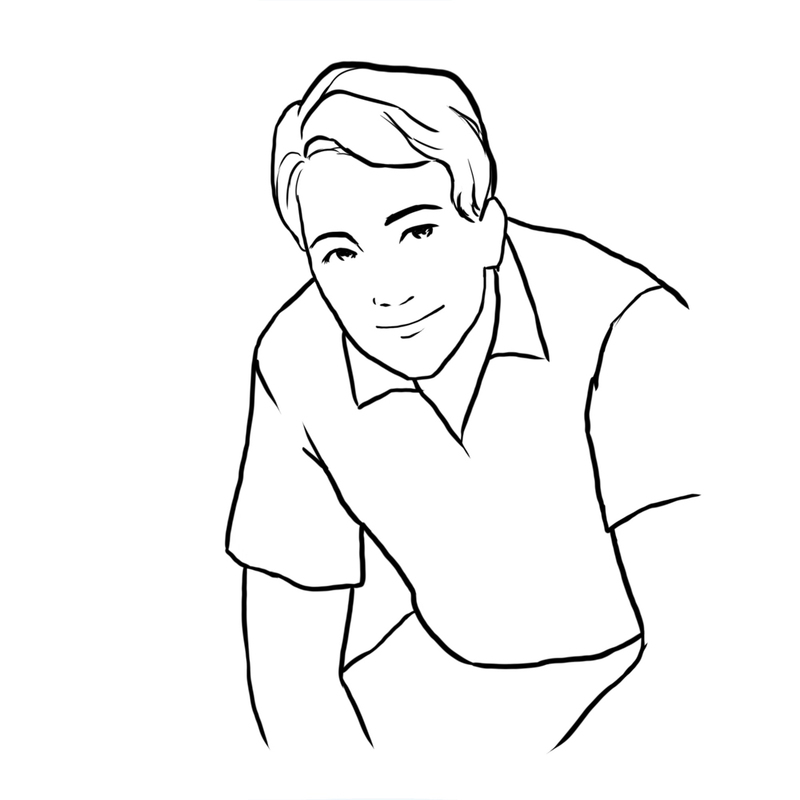 This part of the guide covers basic posing ideas for photographing couples. Photographing couples is a frequently required skill, perfect for weddings, engagement shoots, maternity photos, holiday photos, and many more occasions. No matter what the location or reason, here are some basic ideas for getting a variety of photos with simple poses. Have your couple face each other and get a medium shot with both of them looking at you (at the camera). Change up their positions like the above illustration shows, with one of them behind the other. 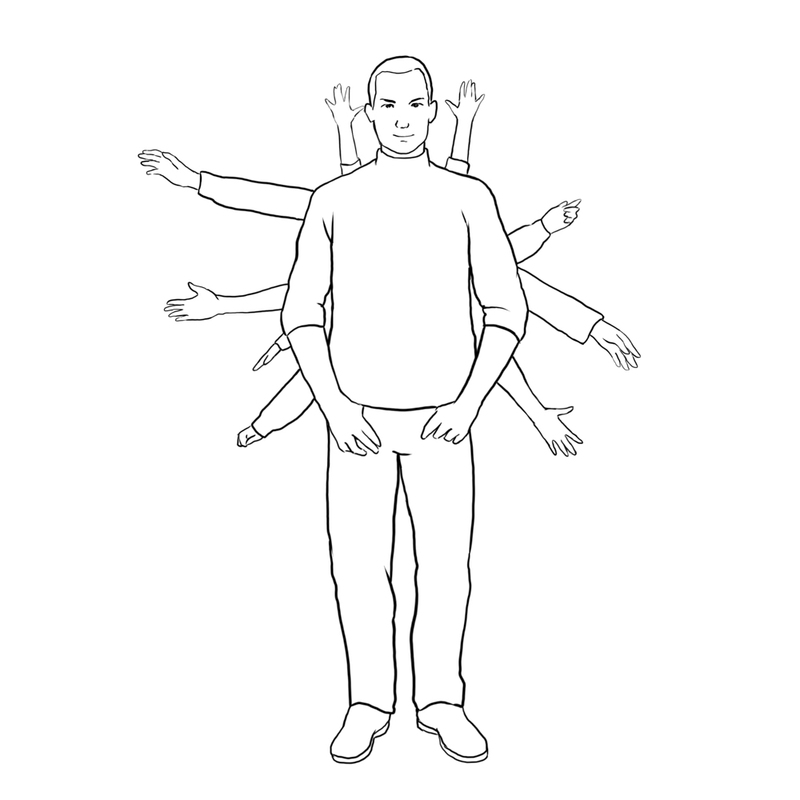 Try different placements for their hands to see what looks most comfortable for them. Then have them look at each other for a shot. Have one of them look at you while the other looks at their partner. Then switch. Lastly, if they’re comfortable with it – have them go in for a kiss! While you’re photographing the above scenarios, it would probably be best to take a step closer (or zoom in) to get a tighter shot. This should be done while they’re in their variety of poses, instead of having them run through all of the poses again for the close up. The exception to this is if you’re using a specific lens you like for close ups and a different one for mediums. While they’re posing (which might feel forced) keep snapping away photos while they talk and laugh. Have a few jokes up your sleeve to get them to laugh. Like I mentioned above, have them look at each other and smile. These photos often end up being client favorites, preferred over the more staged ones of them looking directly at the camera. Photograph some full body shots. You can have your couple dance around like the above illustration or have one of them swing or pick up the other like the below illustration. Try to pick a great backdrop for these wider photos. You’ll have a deeper depth of field, see more, and so the backdrop should say something about the couple. Are they beach lovers on a beautiful shore? Are they backpackers hiking through the mountains? Use negative space to get more create shots, rather than just focusing in on the couple. Find a bench like in the above illustration or plop them down on the ground like the below illustration. Carry a blanket in your car in case you have to make them sit on the ground. Start with standard poses of them holding hands looking at the camera. One nice shot I like to try is having them sit away from you, and then turn to look at you. While you’re in that position, have them kiss! Try shooting a profile shot from the side like the illustration below while asking the couple to just relax and pretend you’re not there. 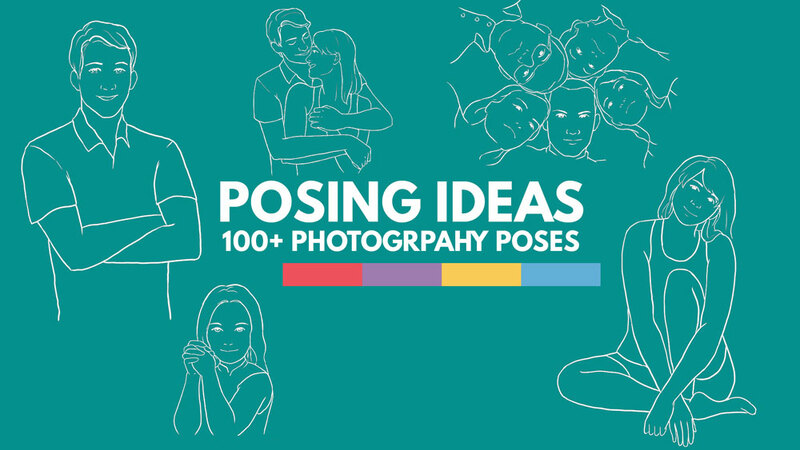 If you want to see all 25 posing ideas for couples in full resolution, easy-to-see pages, download the PDF workbook (at the top or bottom of this article). This part of this guide covers basic posing ideas for photographing women. If this is your first time photographing someone one-on-one, I know how nerve wracking it can be. Hopefully with the ideas below, you’ll feel more confident. Make sure you download the PDF so you can easily see all 25 pose ideas for women. The first rule of photographing women, and men for that matter, is to make them feel comfortable. If they haven’t had experience modeling, they’ll most likely feel a bit nervous and uncomfortable themselves. Before you jump into taking photos, chat it up a bit. Try to get them as relaxed as possible before taking any photos. The standard headshot – from around chest/shoulders up like the illustration above – is a great photo to start with. This is probably the most important one, so you want to make sure you nail it without rushing. And while it might take a couple poses before your subject looks and feels the most natural, waiting until the end to frame up the perfect pose can be tiring. Have your subject turn her shoulder towards you. Then have her switch. While she may think she knows which is her best side, it’s best to give multiple options. Step back or zoom out to get a wider shot of your subject. Have her cross her arms and then place them in her pockets or on her hips like in the illustration above. Try having her smile, and then have her stop smiling. Sometimes serious looks are more powerful and may be what your client wants. As suggested with couples, having your subject sit on the floor can result in some great photos. Play with the positioning of the arms and legs. 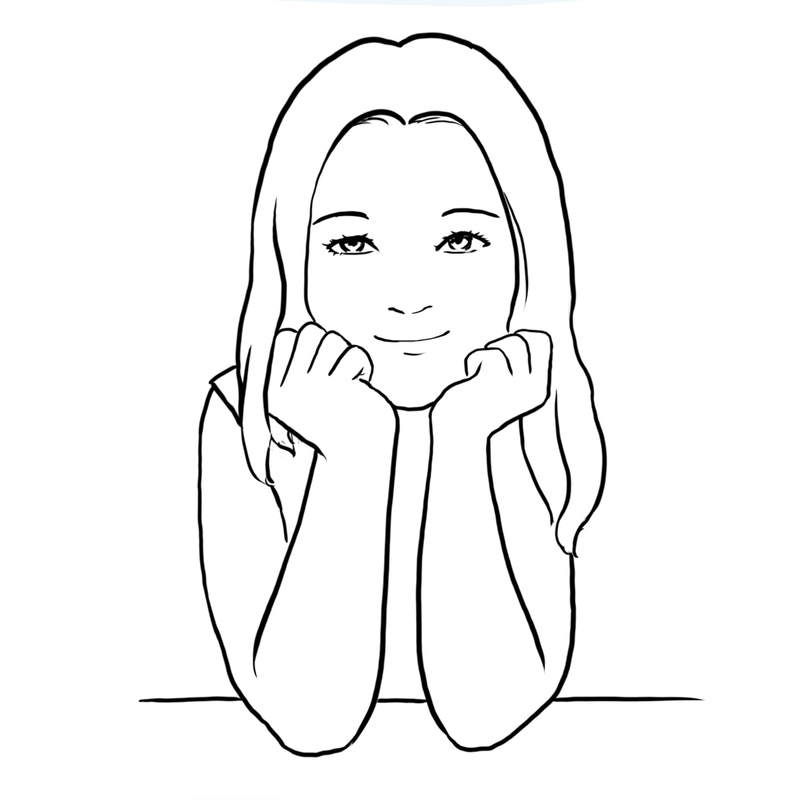 If she’s sitting at a table like in the below illustration, have her lean forward and put her chin in her hand. The illustration below shows a woman posed in her natural state – with a cup of coffee or tea in the morning. A great photographer will try to capture moments like these to paint a bigger picture and tell a story about the subject. If you want to see all 25 posing ideas for women in full resolution, easy-to-see pages, download the PDF workbook (at the top or bottom of this article). 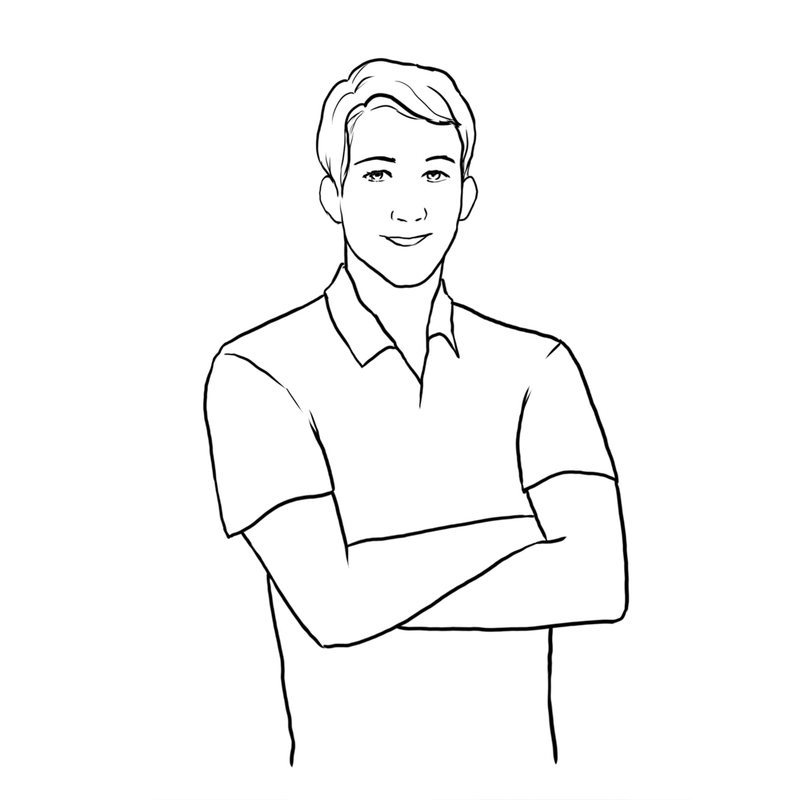 This part of this guide covers basic posing ideas for photographing men. Many of the shots are similar to those of the women. Both with men and women, it’s important to ask your client what they want their photos to say about them. Do they want to seem strong? Relaxed? Calm? Serious? Happy? Not only will posing your subject in a different way change this message, but so will the angle of the camera. Shooting from below will make your subjects look more imposing – great for corporate-type headshots. On the other hand, many clients find shooting from above more flattering. As always, giving options is a good idea! The illustration above portrays a classic example of a male headshot. Photographed from above, have your subject relaxed, looking up at you. This example shows the subject leaning slightly forward. To add a bit more power to your subject, have him cross his arms. This would be a great shot to have him stop smiling, to get a more serious portrait. 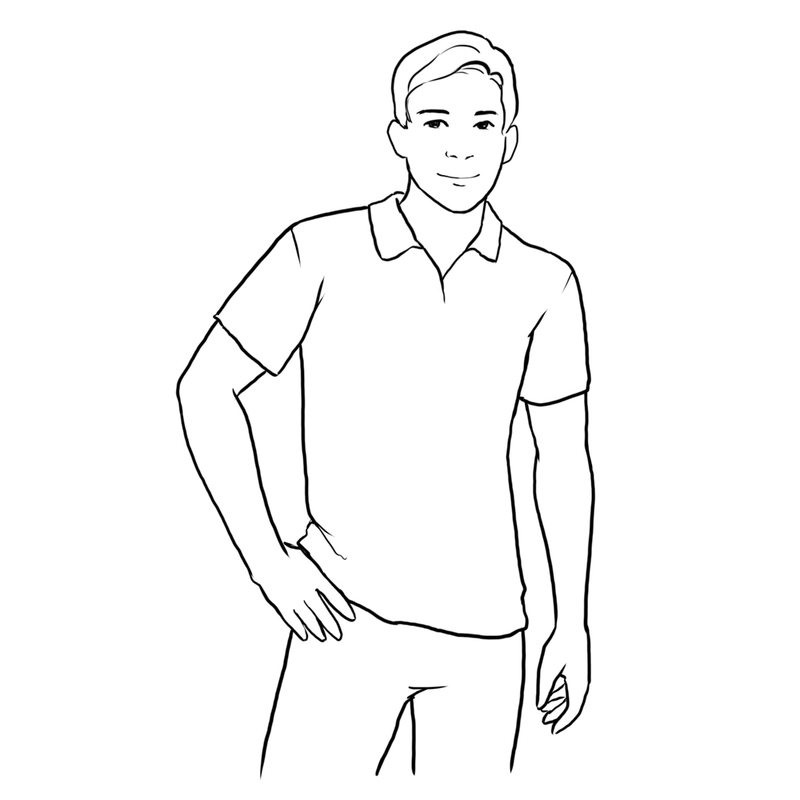 A more relaxed look would be to have the subject place a hand on his hip or his thumb in his pocket. 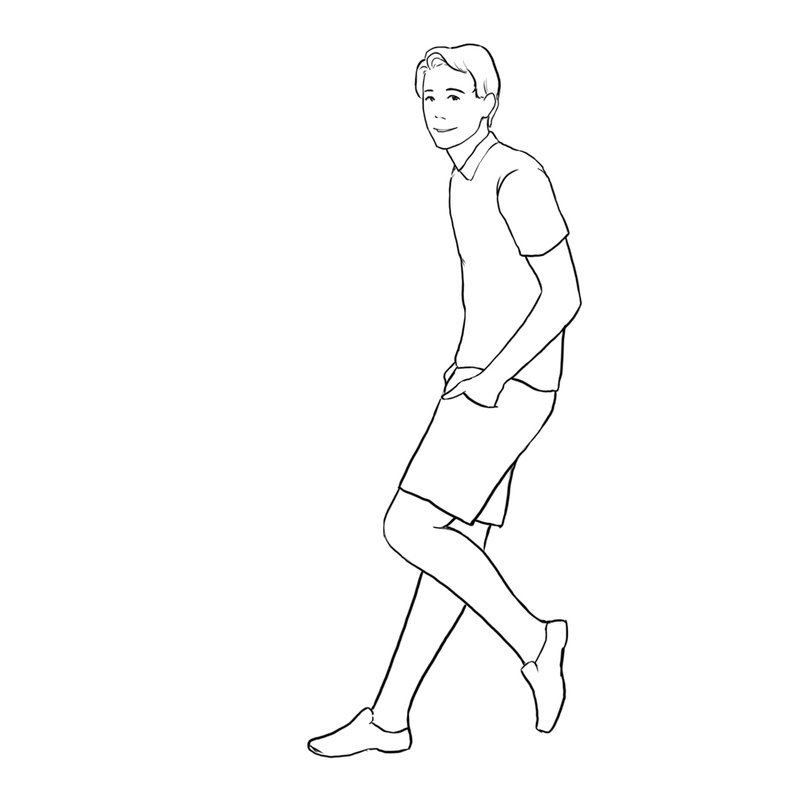 The illustration above is from straight on, but try having your subject’s body turned slightly to the left or right to give him a more flattering waste-line. 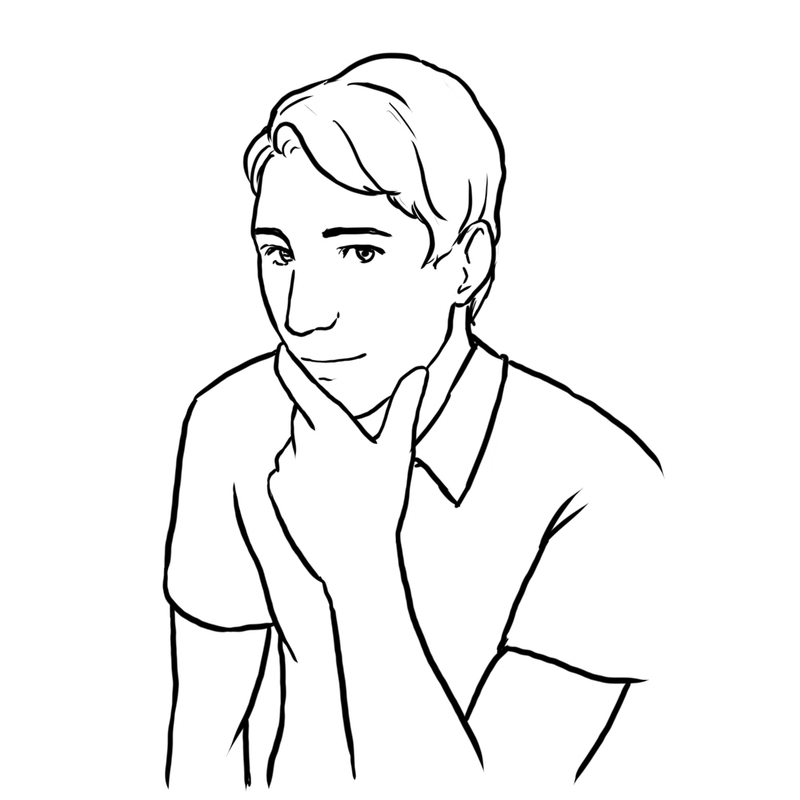 Positioning your subject’s hands, as in having him hold his chin like from the illustration above, can be a great alternative for some kinds of guys (or girls!). While it can feel awkward, usually the resulting portrait looks great! As with any portrait session, try getting some wider shots. Have your subject leaning against a wall like in the above illustration. This casual stance captured in a wider shot, perhaps with a lot of negative space, can be a great option for all kinds of uses. I’m seeing a website header image already! 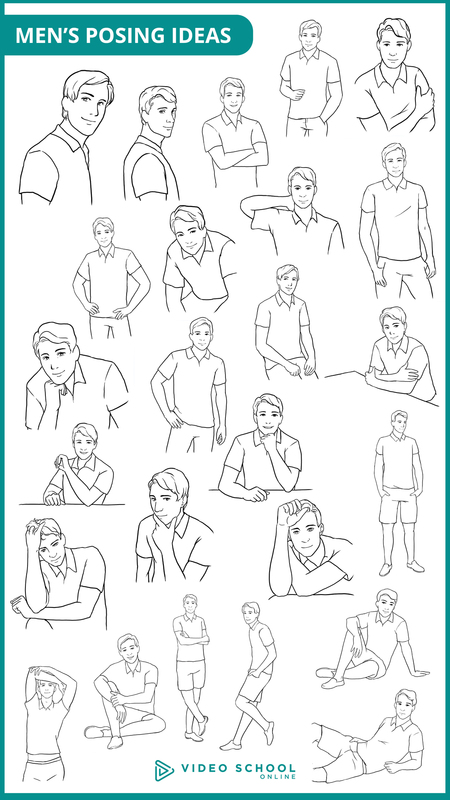 If you want to see all 25 posing ideas for men in full resolution, easy-to-see pages, download the PDF workbook (at the top or bottom of this article). 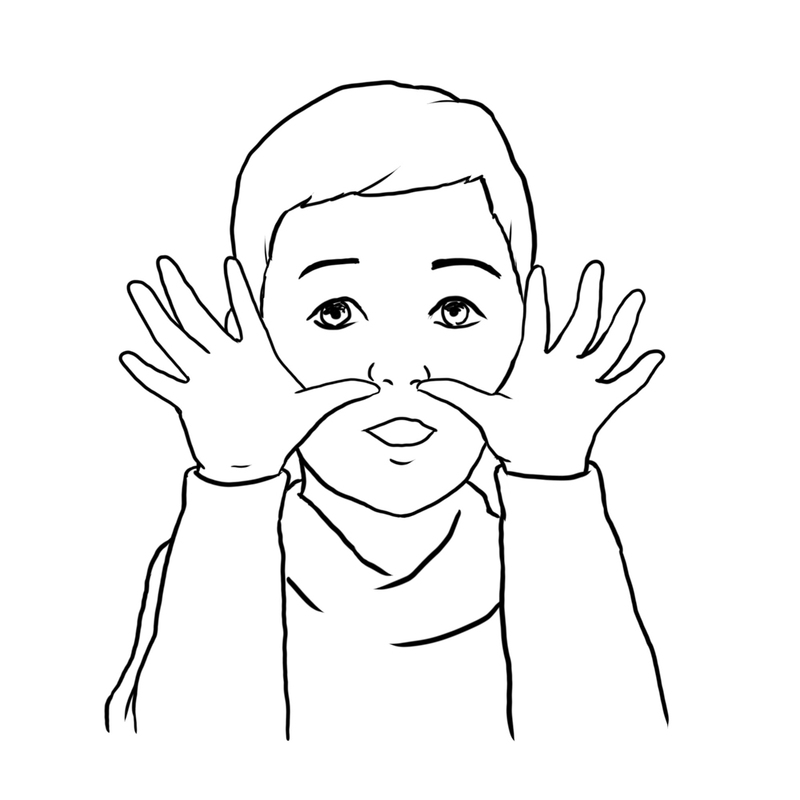 This part of the guide covers basic posing ideas for photographing children. You can use many of the poses from above, but here are a few additional ideas for kids. When photographing kids, one of the most important things is to get down to their eye level. Photographing a standard portrait like the illustration above can make your average kid portrait look ten times better. Notice how the photo above has the girl putting both hands up to her cheeks. 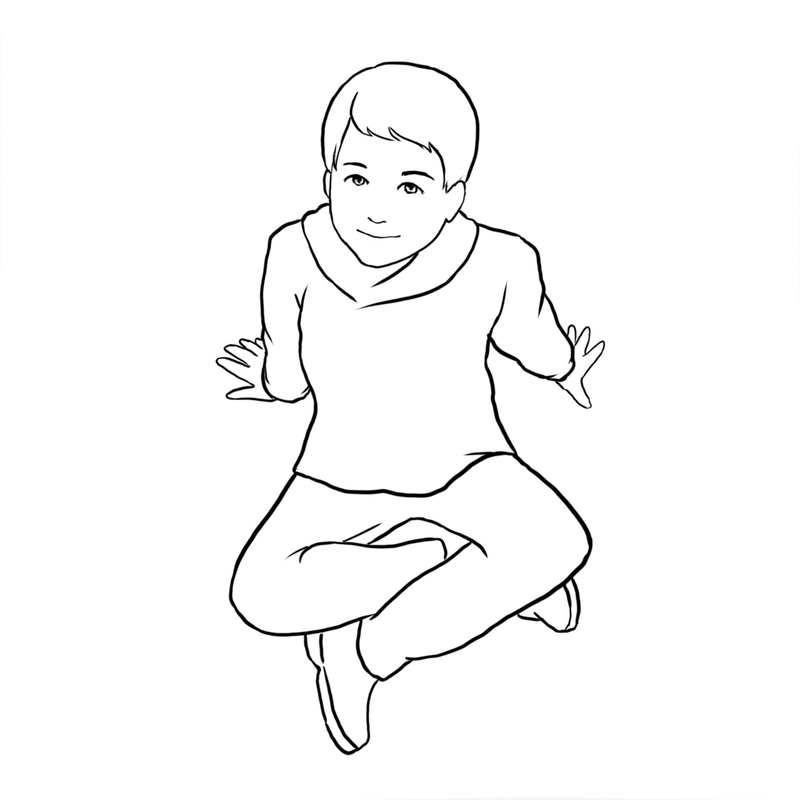 Try different poses like this with the kid either standing or sitting at a table. While it’s important to make sure you get down at the kid’s eye level to get a captivating portrait, you can also get great shots like the illustration above with the entire child in frame. Depending on the kid you are photographing, you might open up with this one. Just let them be silly. Have them make faces at you. Make them laugh. Keep snapping away to get that honest emotion captured. This is especially helpful in group family photos – let the kids be silly for a shot or two before making them sit and smile! Have the kids bring one of their favorite toys – something that is important to them. They can hold it like in the illustration above or you can play around with it being somewhere in the frame. Perhaps it is in the foreground in focus, while the kid is out of focus in the background. Whether you’re photographing a family with a newborn or not, make sure to snap a few shots with the parents. We’ve got more ideas for group shots below too! 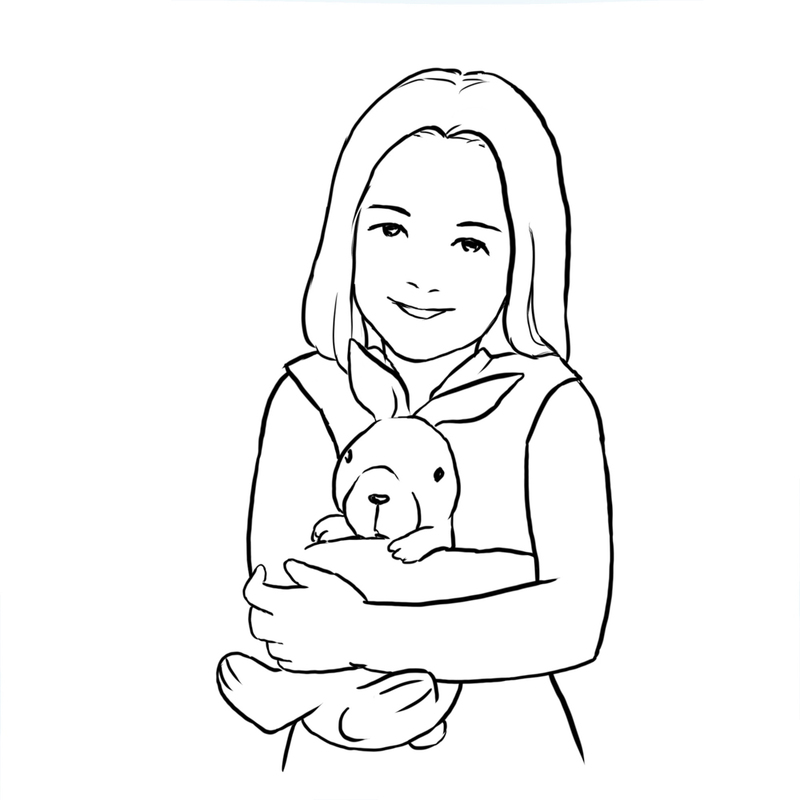 If you want to see all 25 posing ideas for children in full resolution, easy-to-see pages, download the PDF workbook (at the top or bottom of this article). 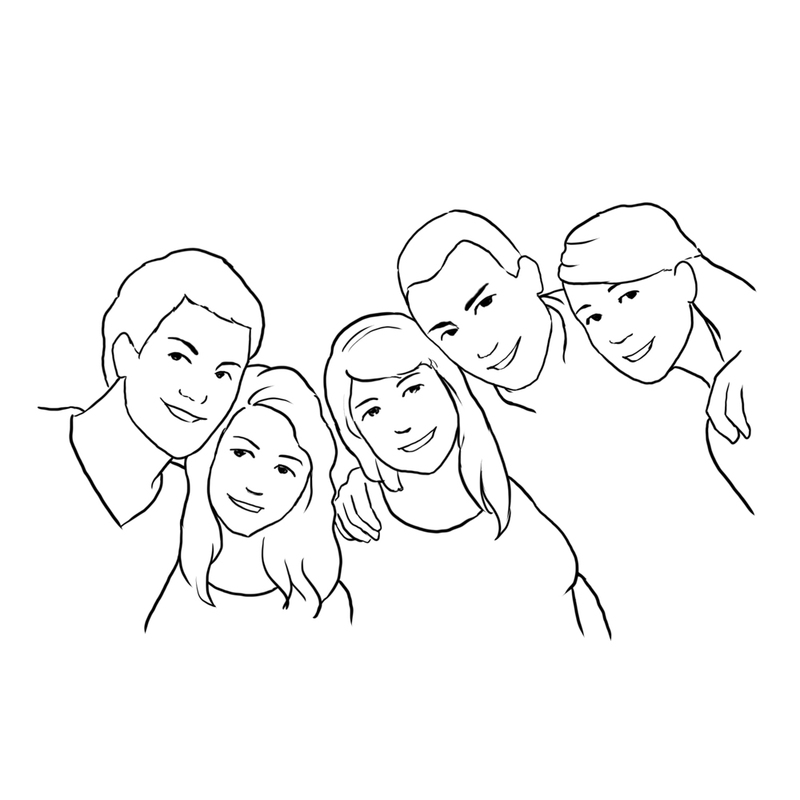 This part of the guide covers basic posing ideas for photographing groups. How you photograph a group can change depending on how many people are in the group. Also, finding a suitable lighting situation and background can be a bit tough. The first thing you’ll probably have to tell a family or group is to get closer! It’ll be easier to frame everyone in the shot, and the resulting family-vibes will be better. The illustration above has this family really leaning in together. In terms of ordering people from left to right, try different combinations. Start with the parents in the middle. Then have them on the outside. Have it go boy-girl-boy-girl, or boys on the outside and girls on the inside. Pay attention to height as well. In general, the taller people will go on the outsides creating a frame around the entire group. 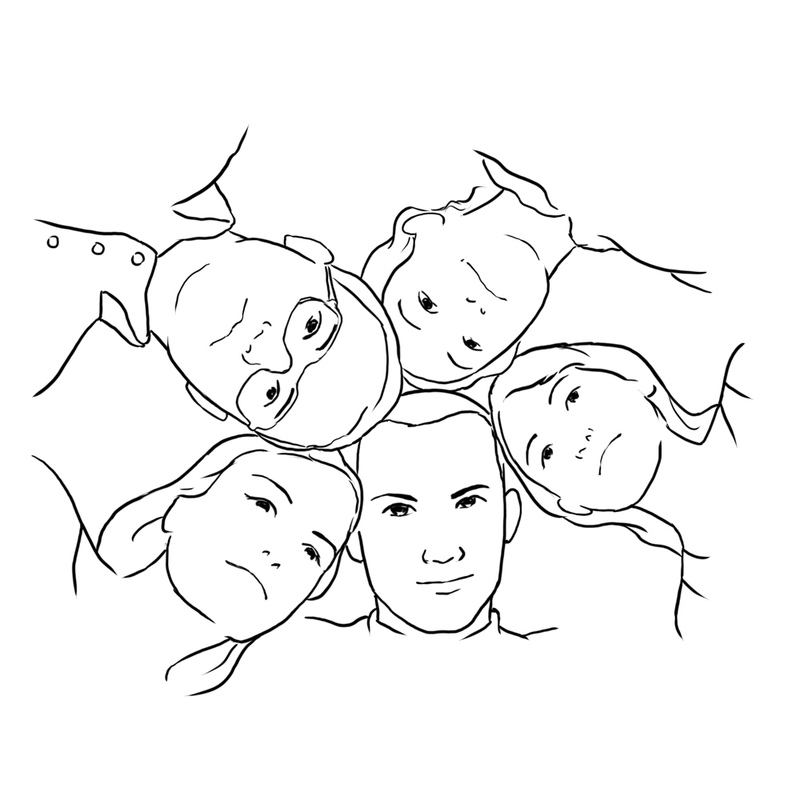 The illustration above is a cool idea for a sports huddle type of photo. You might have to lie on the ground and use a wider lens to get this shot. Play with using a flash so the background sky isn’t completely overblown. Or shoot it where the sky isn’t contrasting with the amount of light on your subjects’ faces. You could do the opposite of this idea and have them lie on the floor or on a couch like the above illustration. This posing idea works well for a smaller group like the three above. Especially for families with young children, sitting on the floor will come naturally to them. It’s where they spend a lot of time playing! Get everyone to sit down, cross-legged and casually wrap their arms around each other. The above illustration is just an idea for how you could do something really fun and unique, rather than the typical group shot. The angle at which you shoot this kind of photo will have to be just right, but might end up being the most memorable shot! If you want to see all 25 posing ideas for groups and families in full resolution, easy-to-see pages, download the PDF workbook (at the top or bottom of this article). I hope that you’ve enjoyed checking out these posing ideas for your next photography shoot! Our downloadable PDF guide is great for any new (or experienced) portrait photographer. 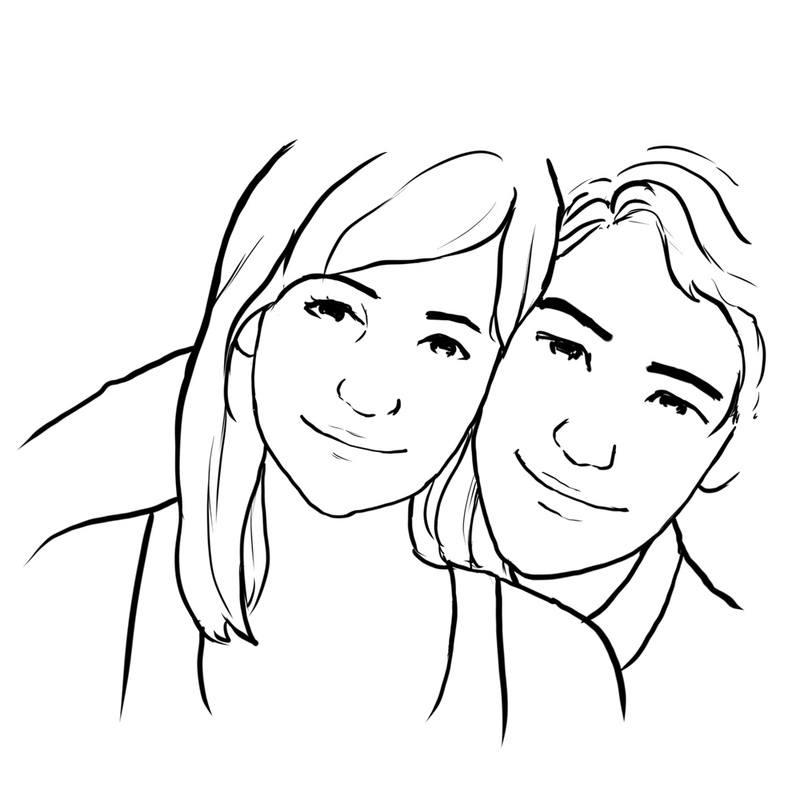 It has all 125 portrait ideas for couples, women, men, children, and groups. You can flip through each one individually, making it easy to keep track of what poses you’ve done already. To learn more about the basics of portrait photography, take our Portrait Photography for Beginners course. Or, you can get access to 75+ courses by joining our monthly membership: click here to get your first month free!